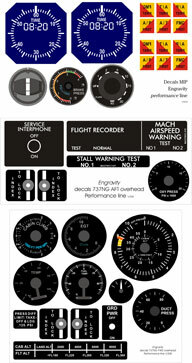 A full set of decals is now available for free in our download section. We have added a couple of sets used for the MIP, Forward and After overhead. Print on a laser or inkjet printer and use them to finish your home cockpit.